With the number of applications submitted through Submit-a-Plan doubling every year and over 74,000 registered applicant and agent users, it is clear to see that online applications will steadily replace traditional paper methods. 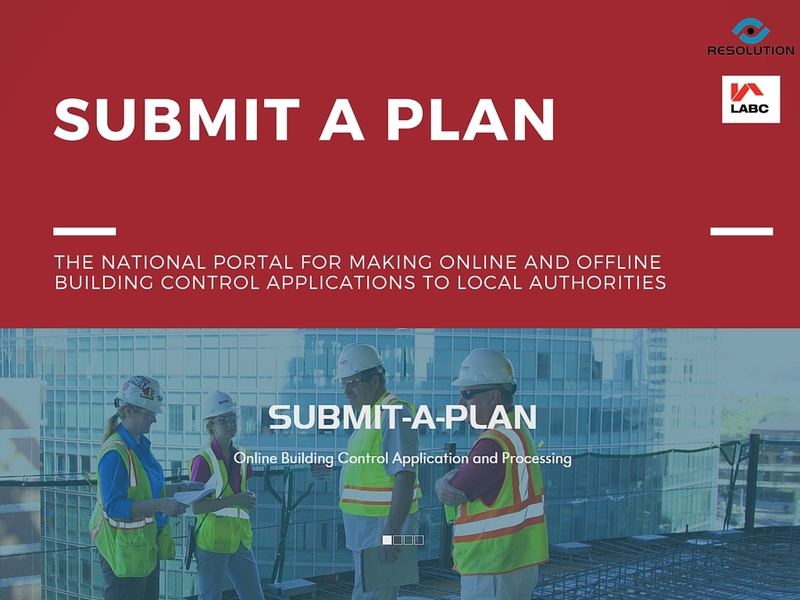 Submit-a-Plan’s long-term vision is to create a more modern, more efficient electronic Building Control application process for Local Authorities. Submit-a-Plan and DataSpace Live is designed to offer a complete and advanced electronic online solution that not only improves the efficiency of application submission and approval, but also the overall efficiency of how Building Control departments operate. Integral to this is electronic applications submitted online. The more electronic applications you receive, the more efficient your department will become. If you are already receiving electronic applications through the Submit-a-Plan portal you are already off to a good start, but do all of your customers know about the service or know that it is your ‘preferred’ method of application? 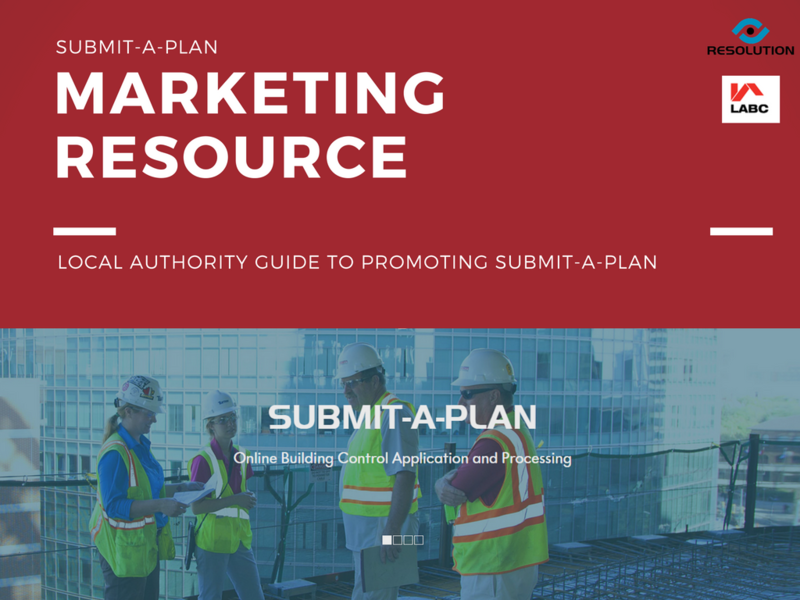 This marketing resource provides guidance on some simple steps your Authority can follow to promote electronic submission through Submit-a-Plan. The resource comes with a main guide that can be downloaded below. It also comes with our Submit-a-Plan logos, web-text, applicant brochures and leaflets for your use which are listed to the right of this page for downloading. Simply right-click on items and select 'Save image as' to download to your computer. Alternatively why not ask us to email all the materials to you. Use our Submit-a-Plan Logo on your building control webpages and in your correspondence. Right-click on logo and select 'Save image as' to download. 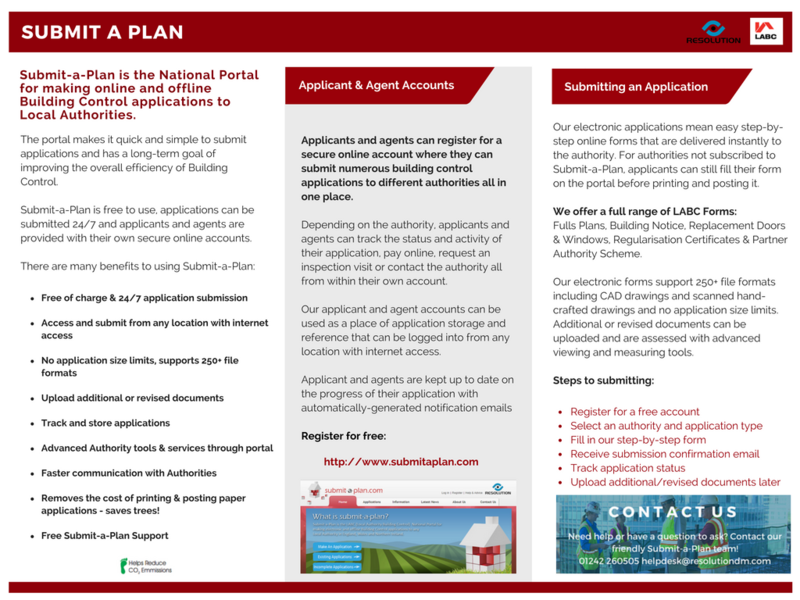 Use our Submit-a-Plan Graphic on your building control webpages and in your correspondence. Right-click on logo and select 'Save image as' to download.